The Federal Government is considering the recalling of soldiers in the country’s peace keeping mission abroad to enhance the operational capability of the military against insurgency in the North East. The Coordinator, National Information Centre, NIC, Mr. Mike Omeri, disclosed this, yesterday, during the usual press briefing on security issues across the country in Abuja. 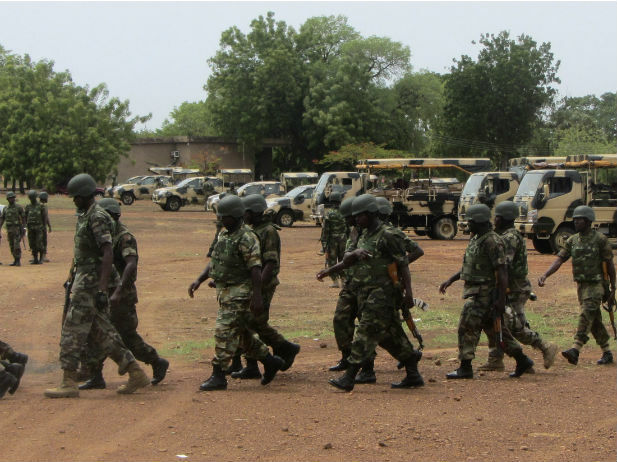 “There is need for a troops surge in operational areas which may require recalling Nigerian troops from peace keeping missions abroad to enhance the operational capabilities of the Nigerian military,” Omeri said. It will be recalled that, a number of African countries converged on Niamey, Niger Republic, on January 20, 2015, with the sole aim of seeking authorisation from the United Nations Security Council, through the African Union, to set up fund and deploy a more effective multi-national force to fight Boko Haram. Omeri therefore added that “Nigeria and her neighbours should improve on the effective management of their borders, while the Abuja Regional Intelligence Fusion Unit should collaborate with the Intelligence Coordination Centre based in Chad, in intelligence sharing.